Big Boys Moving and Storage movers help to answer your burning questions about moving in today’s blog post. Whether you’re wondering how much to tip movers or looking for tips on how to find a roommate, we’ve got the answers! Q: What should I look for during an apartment inspection? A: Before calling for movers help you need to find that new place, so what should you be looking for during an apartment inspection? Here’s a quick list to run down to get you started!! Check the carpets and flooring for any signs of mold or damage. Check the windows to be sure that they shut and lock properly and that there is no damage or signs of leaking. Flip all the light switches to be sure that they are working. Check for sprinklers, carbon monoxide detectors, and smoke detectors. Check the appliances to be sure they work properly. Examine the walls and ceilings for any signs of leaks, mold, or other damage. Pay attention to any odors or stains in the apartment. Flush all of the toilets to make sure that they flush properly. Turn on the faucets to check water flow. If your unit includes a washer and dryer, check them for signs of wear. If your unit comes with a balcony or deck, check them for signs of damage or danger. Q: Should I tip movers and if so, how much? A: It is customary to tip your movers if you are satisfied with their moving services. Moving is hard work and it’s always appreciated when you show your appreciation. Of course, it isn’t mandatory to tip your movers, but a failure to tip does tend to indicate that you are dissatisfied with the moving services you received. How much should you tip your movers? This is entirely up to you but if you’re looking for a guideline, the average tip for a household move is $20 per mover. If your move is very labor intensive you might consider $30 to $50 per mover. Be sure to consider your budget when tipping your movers too, there is more than one way to show your appreciation for a job well done. For example, if you can’t afford to tip movers $50 each for a very labor intensive job, consider a smaller tip and provide cold drinks and pizza or a gift card you have on hand for local restaurants for a job well done. Q: How should I go about finding a roommate? A: When moving you may decide to take on a roommate to split the cost of your new apartment or home, but these days it can be difficult to know where to start your search for a reliable roommate. Our favorite recommendation is to start with an online roommate website. There are more than a few roommate matching services online but go with one that requires thorough screening. Remember, the more screening that you have to go through to join a website community, the more screening your potential roommate has to go through too. There are plenty of free and less complicated methods of finding a roommate, but we always recommend going with the safest avenue even if it takes a little longer or even costs you a website registration fee. Q: Should I Use My Best Friend As My Realtor? A: The answer to this question depends. Are you hiring your friend as your realtor because she is your friend or because she is your realtor? If your friend is the best realtor in town and can help you to find the best property for the best price, then go for it! If you’re only hiring your friend because she’s your friend, then no. Purchasing a home or even renting a home is a big commitment. Don’t let friendship get in the way of this decision because you could well end up missing out on the ideal property because you “felt bad” not hiring a friend. Q: What’s the one most important tip you can give me for moving day? Finish packing all of your belongings fully before moving day arrives. Pack an overnight or weekend bag with everything you will need immediately after your move so you don’t have to spend the first night in your new home searching through boxes! Arrange child care and pet care for your moving day so that you can move without having to worry about kids getting underfoot or pets escaping while boxes are being moved to and from your home. Have a dedicated box or tote for cleaning supplies and leave that in your old home to make cleanup fast and efficient. Better still, if you have the budget, hire a cleaning company to come in and do a thorough clean of your home for you once you have moved out. It means less work for you and a better chance of getting your deposit back on your rental because you are guaranteed a thorough cleaning job. Pack a cooler with plenty of cold drinks, you’ll need them come moving day. Include water and electrolyte-rich drinks to keep everyone hydrated. Looking For Movers Help in Tampa? 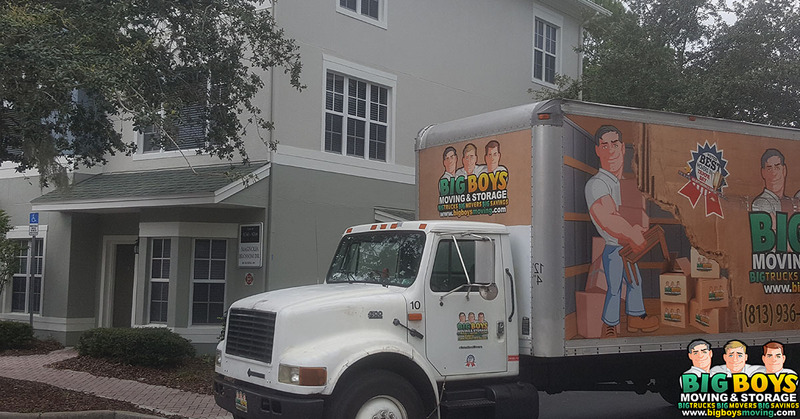 If you’re looking for movers help in Tampa, Big Boys Moving and Storage are here to answer the call! 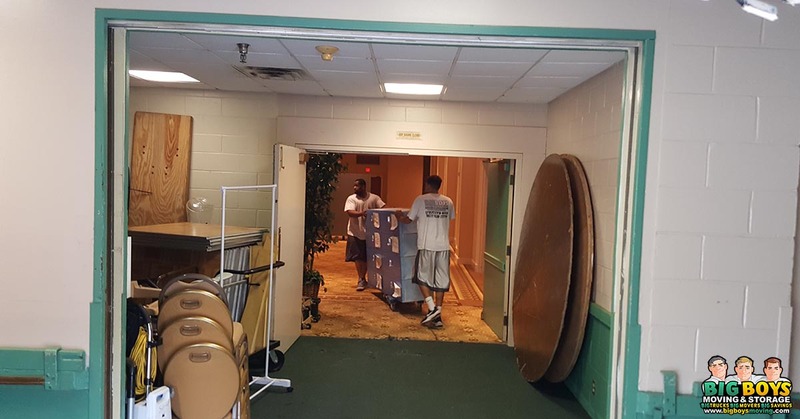 From small apartment moves to big commercial moves, we’ve got you covered, just give us a call at 813-936-2699 to make an appointment with us today!